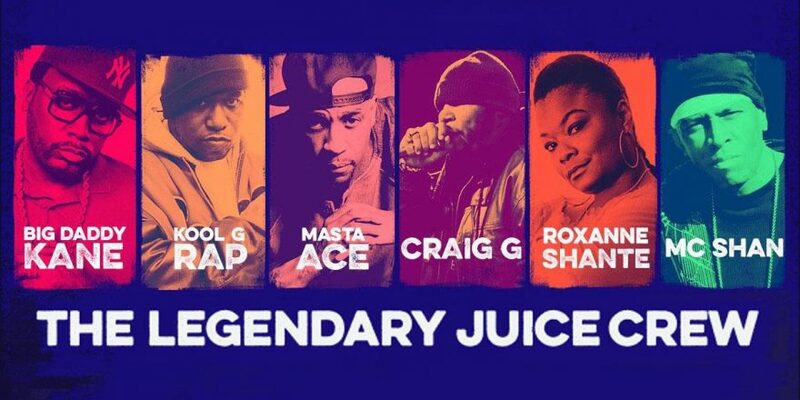 Old school hip hop collective Juice Crew hit Manchester this Monday courtesy of More Bounce (who recently brought Pete Rock and CL Smooth to the city) and friends: Big Daddy Kane, Kool G Rap, Masta Ace, Craig G, MC Shan and Roxanne Shante are returning to the UK together for the first time since the late 1980s. Founded by Marley Marl and Mr Magic in Queensbridge, New York in the early eighties, the crew took their name from Mr Magic’s alter ego, Sir Juice. 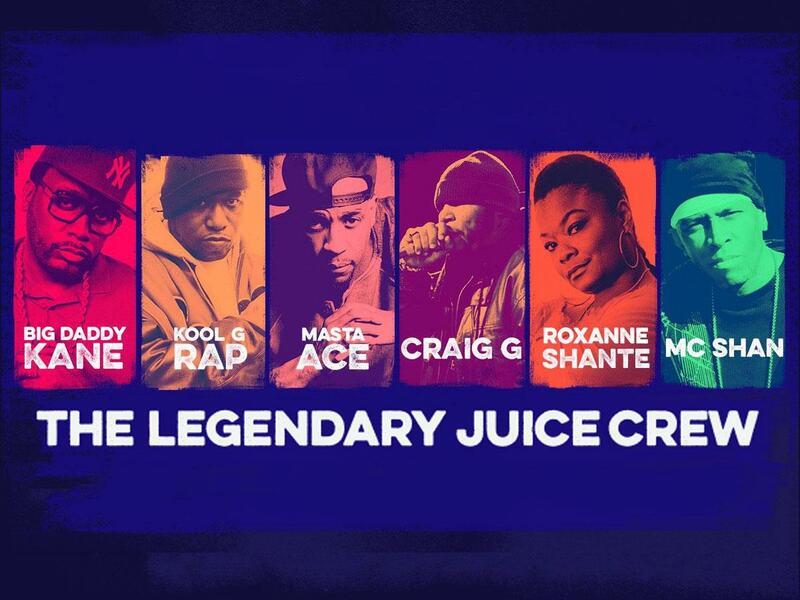 The importance of the Juice Crew’s legacy on hip hop culture can not be overstated, Marl and Magic adding new artists to the family progressively and forming a partnership with Cold Chillin’ Records, whose output consisted mainly of artists from the collective. Their impact was summed up nicely by Nas, when he said ‘(they) made us believe that although we came from these wild streets, we still had a chance to change our lives’. Any of these guys on their own is worth the ticket price: combined, this one is unmissable.